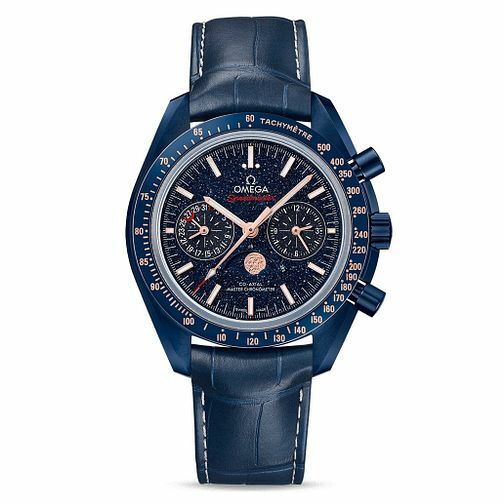 The OMEGA Speedmaster Professional Chronograph has a unique place in the history of space exploration as the only piece of equipment used in all of NASA’s piloted space missions. Crafted in ceramic with a speckled dark blue dial and tachymeter scale, and powered by manual-winding chronograph movement with a 48 hour power reserve. An additional moonphase scale is also featured on this model to celebrate Omega history.